Unlike most sites that offer kitchen pantry ideas, my pantry ideas are about what to stock up on as opposed to what to get rid of. I have 3 kids who like a few less-than-healthy snacks and a husband that could eat chocolate for breakfast, lunch and dinner. There is no way I am going to live one way and preach to you another. You can still have the healthy culinary pantry for you as well as keep those foods on hand that your family enjoys as well. The key to your success is going to be to keep enough yummy or acceptable alternatives on supply for you to grab instead of grabbing something from their stash. Dont get me wrong, I require them to eat their healthy macronutrients but I also allow them to enjoy some of the things they like as well. These kitchen pantry ideas may not end up looking like a culinary pantry masterpiece but it will be functional in helping you to achieve your fit body goals. I am not talking about the instant kind. Its much better on top of the stove but I often cook mine in the microwave. Add a little stevia and cinnamon and enjoy! This is a great alternative if you dont like oatmeal and its gluten free by Arrowhead Mills. Its a creamier texture but very good. I add stevia and blueberries to mine. I even like to scramble my egg whites and mix all together like a breakfast bowl. Yes I am one of those people. I keep the regular brown rice as well as the boil-in-bag version. 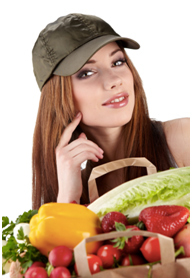 Remember for your kitchen pantry ideas that it is about having things on hand that are quick response foods. You could pull out some leftover chicken or fish and boil you a quick serving of rice and toss a small salad to go with it. How about throwing that leftover chicken in a skillet, with fresh spinach leaves and rice with low sodium soy? Quick stir-fry! You could add so much more if you would like or have time. I am just trying to show you quick and easy! This bread is a fabulous addition to your kitchen pantry ideas list!! Each slice contains 14gms of whey isolate and 12 gms of carbs. It is almost a meal in itself! The slices are large so I usually cut one in half and make a Panini sandwich out of turkey or tuna. I eat for breakfast as toast with my eggs and sugar free jam. It is also great when you have a sweet tooth to make a piece of cinnamon toast. Use spray butter and stevia powder sparingly with a dash of cinnamon! Yum! Careful with this one! Nut butter is very good for you but very high in fat. This is yet another alternative to complex carbs and a good one since it also contains almost 8gms of protein per 1c. serving! I love these! In my former bad girl eating days, I could throw down on some salty chips or French fries. I was a carboholic! This gives me that chip like taste without all of the fat. Again, these are great for you but high in fat. Buy the prepackaged packs for portion control! This has so many more uses than simple a protein shake especially in vanilla. How about trying in your plain Greek yogurt or mix in cottage cheese? How about mixing it with egg whites for protein pancakes and sugar free syrup? Never use the bags! If you want a treat while watching a movie, pour a couple of tbsp. of olive oil in a pot, add the kernels with salt substitute and pop a healthy version! 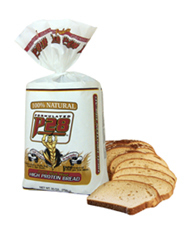 Great for your toast in the morning or even an afternoon snack attack for the sweet tooth on some P28 Bread! .in moderation! Buy at least 60% cocoa. Dark chocolate is filled with healthy antioxidant flavonoids. Fresh fruit such as grapefruit, green apples and berries. Spray Butter for your cinnamon toast. Now that you have a few ideas for your fit pantry checklist, go stock up!